The Israeli Department of Justice stepped in this week to defend freedom of expression following outrage over a sculpture that depicts Jesus as McDonald’s mascot Ronald McDonald on a cross. Artist Jani Leinonen’s parody of the beloved Christian symbol is on display at the Haifa Museum of Art, where hundreds of protesters recently descended to voice their dissatisfaction with the artwork’s presence in the government-funded exhibit. 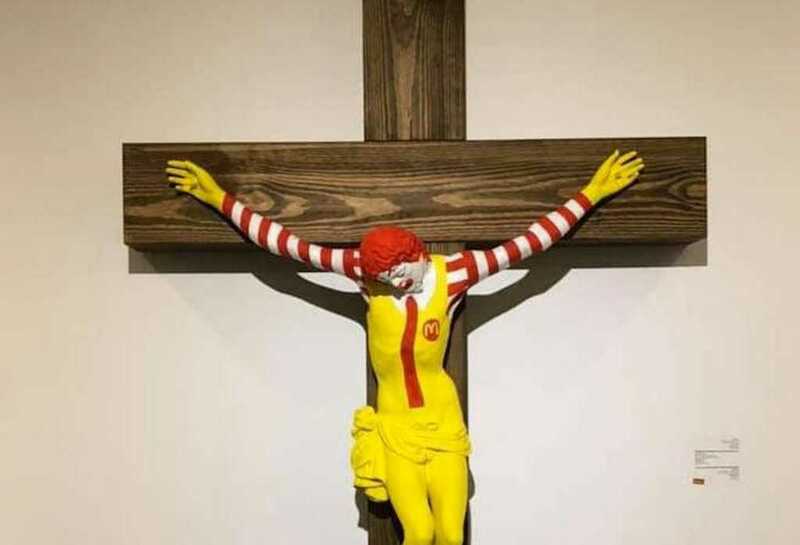 According to Fox News, Zilber made her comments in a letter sent to Culture Minister Miri Regev, who sent a letter directly to the museum, threatening to defund the exhibition if the “McJesus” sculpture remained on display. Zilber, though, reminded Regev the government cannot interfere with the contents on display in the museum because it provides financial support. The issue was first brought to the attention of the country’s Department of Justice by the Association for Civil Rights in Israel (ACRI), which reached out to the government agency on behalf of the museum. Dan Yakir, a legal adviser for ACRI, argued Regev “seems to have made a quantum leap” in making the unilateral decision to reach out to the museum herself and threaten to pull its state funds. For his part, Leinonen has asked for his sculpture to be removed from the exhibit because he is a member of the anti-Israel Boycott, Divestment and Sanctions movement (BDS), which promotes a Palestinian state through violent demonstrations and discourages collaboration with Israeli-owned businesses. The museum’s director, Nissim Tal, said late last week that she met with religious leaders in the Haifa community and agreed to place a sign at the museum’s entrance warning visitors the exhibit contains potentially offensive content.